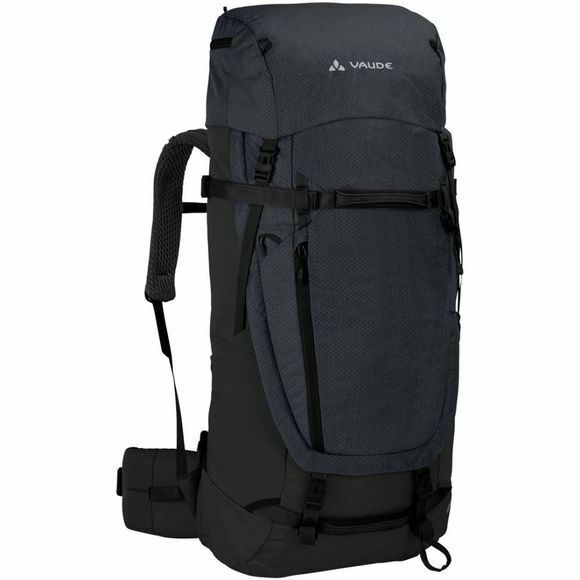 The Astrum EVO 65+10 Rucksack from Vaude allows plenty of room for wanderlust: when your journey requires you carry all your gear with you, you need a dependable trekking pack with plenty of storage space and excellent carrying comfort. The Astrum's Tergolight suspension system with integrated frame provides efficient load distribution and great stability. To meet the needs of different torso lengths – and for a perfect fit on your back – the entire suspension system features continuous adjustability. Imperative for comfortable load distribution and stability: padded hipwings. There are also a total of three padded handles for lifting the bag from a vertical or horizontal position. 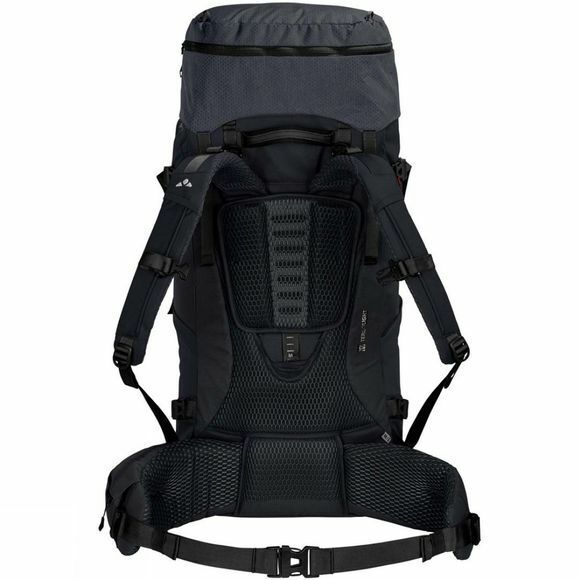 The pack can be opened almost like a suitcase and is just as easy to load through a large front opening that goes all the way to the top from one side. The large inner compartment features a removable divider – when it's open (and attached at the top) the space can be transformed into a hydration system compartment.